Pop stars spend their cash and fame in a lot of interesting ways, but only a small percentage of them do so for a world-changing greater cause. Now, the artist Akon has announced that he will be using his influence to help an entire continent, by building a school for solar energy in Africa. Using star power to literally harness star power! According to Reuters, the Senegalese-American artist Akon has already spearheaded an "Akon Lighting Africa" campaign to bring power to some 600 million people in Africa, which will now include a "Solar Academy." Set to open this summer in Bamako, Mali, the academy will focus on training students in skills to make solar energy more abundant. Those cool sunglasses will come in handy while showing off all that solar harvesting. The academy will teach students all about solar energy electrical grids and micro-grids, which can harness the power of Africa's 320 sunlit days per year. 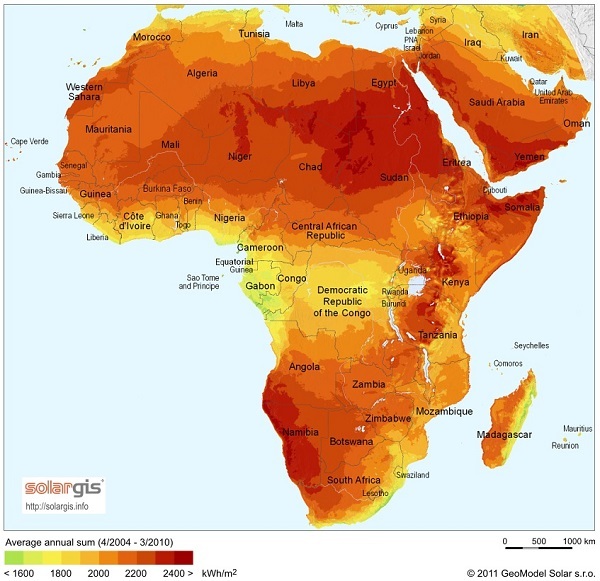 With 70% of Africans under the age of 35, the Solar Academy will promote job growth for its youth as well as sustainable power for remote or impoverished regions. Samba Baithily, a co-founder of Akon Lighting Africa along with Akon and Thione Niang, explained, “We have the sun and innovative technologies to bring electricity to homes and communities. We now need to consolidate African expertise." The announcement of the academy was proclaimed in New York, at the second United Nations Sustainable Energy for All Forum. Hopefully the next installation of this forum will see even more great news from Akon's initiatives. He's not just lighting that kush, he's helping to light a whole nation! Installing solar panel are advantageous as they are renewable clean power that is available every day of the year. Read about Advantages Of Solar Power For Homes at evolutionsolarinc. Great blog. In coming days, Texas solar panels is growing to secure our earth from pollution. To know more about solar panels visit bluebonnetsolarpower.com!!! Alwaysenergy.com.au is the most trustworthy which offers off grid solar solutions for home and commercial residence. Residential solar panel systems NSW have a team of specialist who are all Clean Energy Council (CEC) qualified electricians.